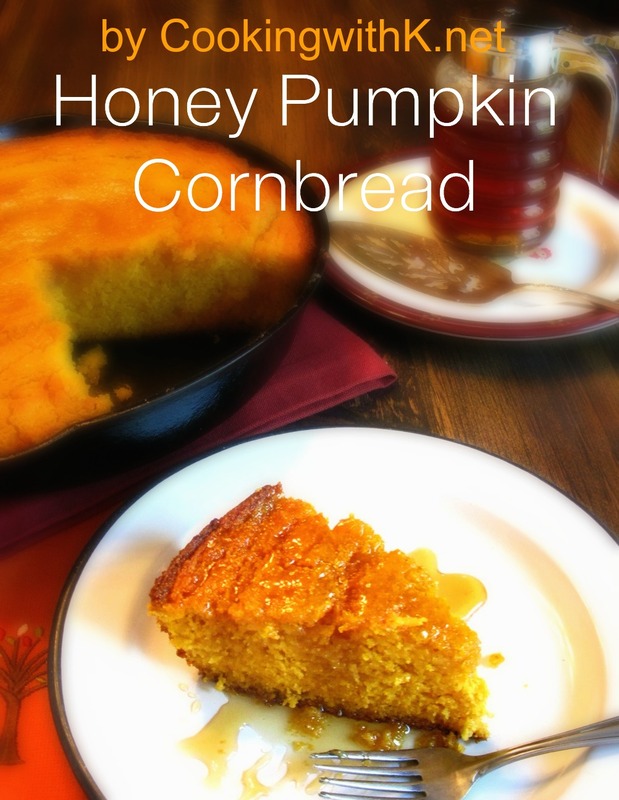 Black Pepper Corn Muffins, Southern cornbread muffin using creamy corn folded into self-rising cornmeal and coarse ground black pepper with eggs, and a small amount of buttermilk to bind it all together. Many a meal when I was a girl growing up consisted of a plate of summer vegetables and cornbread. Some people think that this meal is a poor man's meal, but for us, it was spectacular. Add some sliced garden tomatoes and garden onion, a little chow chow (a southern relish) and we were in heaven. These muffins inspire fried cabbage, collard greens, black-eyed peas, and fried okra. Whew... now, I need a glass of sweet iced tea. 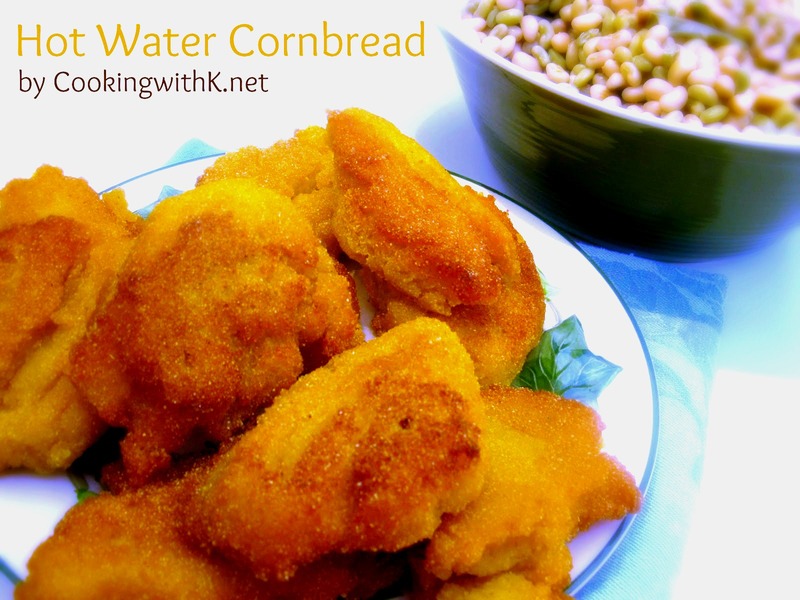 Preheat oven to 400 degrees F. In a medium bowl, add cornmeal and black pepper; mix. Add eggs, cream corn, bacon grease, and 1/2 cup of milk; stir together being careful not to overmix. Spray non-stick cooking spray in each well of a 12 cup muffin tin coating it. 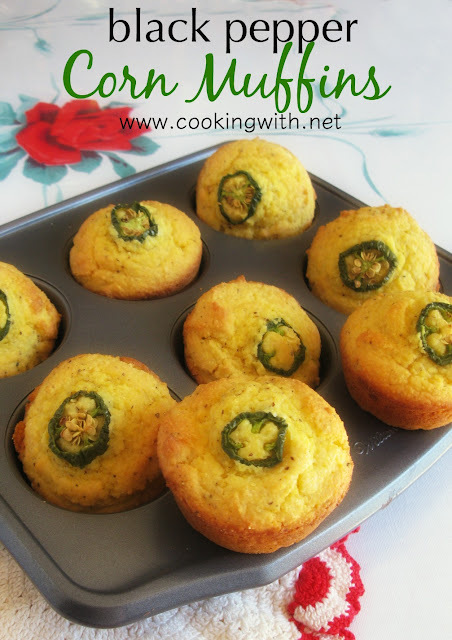 Scoop batter evenly into each well of the muffin tin and then place a jalapeno on top of the batter. Bake 20-25 minutes or until golden brown and the center is done. Transfer to a cooling rack for 5 minutes before serving. 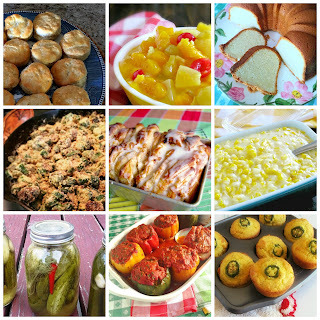 Join me for Meal Plan Monday, Delicious Dishes Recipe Party, I'm Lovin' It, Foodie Friday, Weekend Potluck, What's Cooking Wednesday and all these fabulous parties! 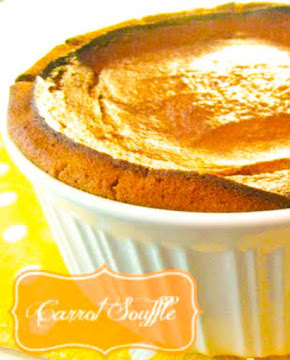 I love this twist on a classic! 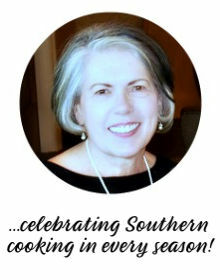 Thank you so much for sharing at the Delicious Dishes Recipe Party! These look delicious! Thanks for sharing at Home Sweet Home! 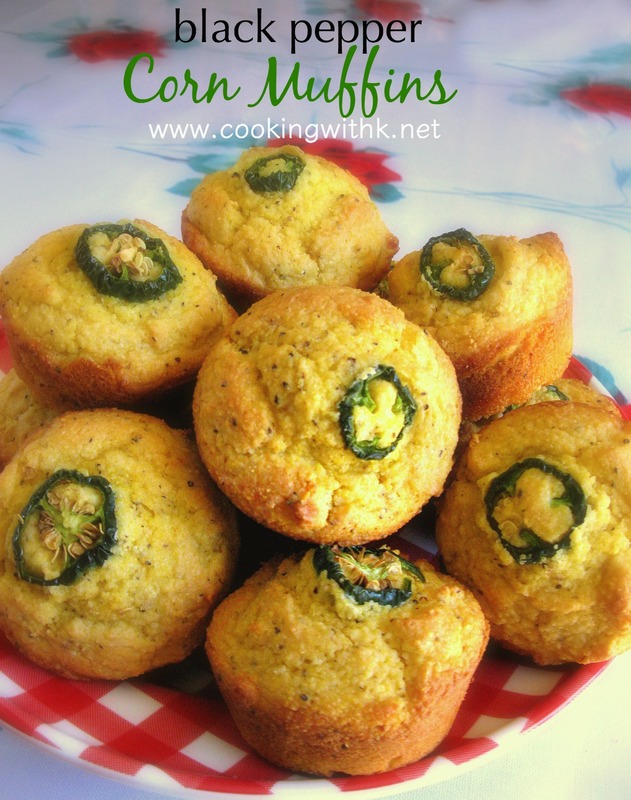 Your Black Pepper Corn Muffins will be right at home here at our table, and thanks so much for sharing them with us. Have a great week and come back to see us at Full Plate Thursday real soon!